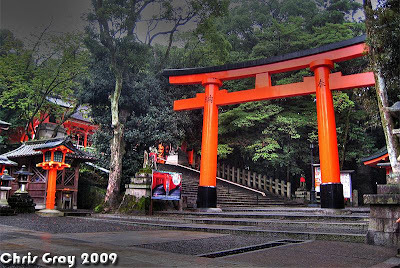 Staying in Yokohama is always great, and close to Tokyo, and Fuji, but in reality, thats about it! 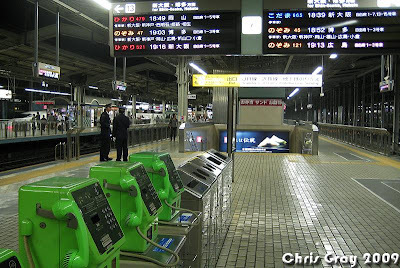 Staying in Osaka opens up much more options to explore all of Kansai. 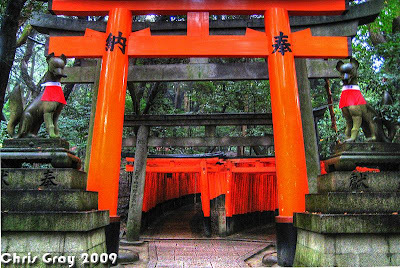 Easy and close access to Kobe, Nagoya, Mie, Nara, Okayama, on to Hiroshima etc, and of course Kyoto! 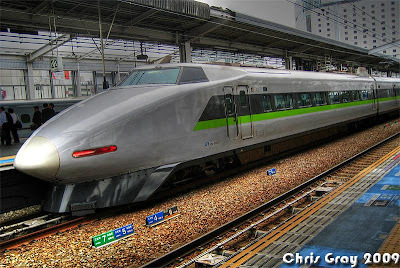 So next on my list was Kyoto... abusing the great JR Pass while I still can, Kyoto is only 15mins away on the Shinkansen! 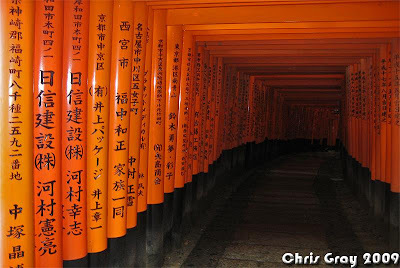 Just a short train ride from Kyoto to Inari Station you will find this! 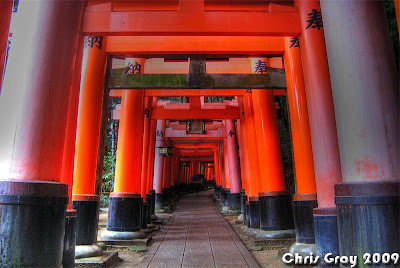 I have always wanted to go here for years and photograph the many Torii Gates that make up this shrine 'walkway' built on Inari-San! Unfortunatly it was raining alot with the typhoon closing in, so I had to make the most of it! Here's the view along the walking trail, inside the 'tunnel' still dry even if raining! Hopefully next time is sunshine! Definetly somewhere I would recommend, and return to again! After all that it was back to Osaka for some Kansai dinner and beer!